As Co-Chair of the melanoma team at Winship Cancer Institute, Dr. Delman leads the multidisciplinary care of nearly half of all patients diagnosed with melanoma in the state of Georgia each year. Dr. Delman began practicing with Emory Healthcare in 2005 and is a board certified surgeon. He is a fellow of the American College of Surgeons and serves on the editorial boards of Annals of Surgical Oncology, CA: A Cancer Journal for Clinicians, Current Problems in Cancer, and the Surgical Council on Resident Education (SCORE). 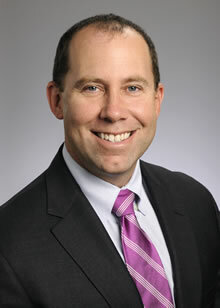 He is also a member of the executive council of the Association of Program Directors in Surgery. Dr. Delman sees over 350 new melanoma patients annually in his clinic. In addition to melanoma patients, Dr. Delman's practice focuses on complex cutaneous oncology patients, including those with sarcoma, adnexal tumors of the skin, and merkel cell carcinoma. In 2009, Dr. Delman and Emory urologist Dr. Viraj Master were the first team in the world to perform minimally invasive inguino-femoral lymphadenectomy for melanoma. Since then, the team has taught the procedure to surgeons from over a dozen institutions located around the world. Dr. Delman obtained his medical degree from Stony Brook School of Medicine and completed his internship and residencies at Montefiore Medical Center, Albert Einstein College of Medicine. Dr. Delman completed a research fellowship at Memorial Sloan-Kettering Cancer Center in New York and a surgical oncology fellowship at MD Anderson Cancer Center. Dr. Delman has received numerous awards including a Dean's Teaching Award from the Emory University School of Medicine, the Shipley Award of the Southern Surgical Society, and the Kennedy Seed Grant Research Award with Dr. Mandy Ford. Dr. Delman's research interests include clinical and translational research involving tumors of the skin and soft tissue.